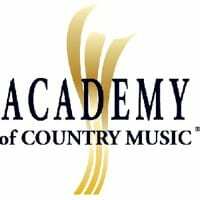 Today the Academy of Country Music is announcing the winners of awards that will not be televised during the 45th Annual Academy of Country Music Awards on April 18. Instead, these Special Awards, Industry Awards and MBI Awards are presented to recipients at the ACM Honors, a special event set for Tuesday, September 21, 2010 in Nashville. The April 18 ACM Awards ceremony will be broadcast live from the MGM Grand in Las Vegas on CBS. Jim Reeves International Award—Keith Urban has been chosen to receive the Jim Reeves International Award, which is presented to an individual for outstanding contributions to the acceptance of country music throughout the world. Cliffie Stone Pioneer Award— Marty Robbins and Mel Tillis have been chosen to receive the Cliffie Stone Pioneer Award honoring individuals who are pioneers in the country music genre. Poet’s Award—Don Schlitz and Cindy Walker have been selected to receive the Poet’s Award, which honors songwriters for outstanding musical and/or lyrical contributions throughout their careers in the field of country music. Tex Ritter Award—Crazy Heart has been chosen as the recipient of the Tex Ritter Award, which is given to a movie released and/or receiving major exposure during the preceding calendar year, featuring or utilizing country music. Crazy Heart is produced by CMT Films, Butcher’s Run Films and Informant Media; and distributed by Fox Searchlight Pictures. The movie soundtrack was produced by T Bone Burnett, who also co-wrote the original song “The Weary Kind,” with artist/co-writer Ryan Bingham. Mae Boren Axton Award – CAA Agent Rod Essig has been chosen as the recipient of the Mae Boren Axton Award, which is given in recognition of years of dedication and service by an outstanding individual to the Academy of Country Music. Don Romeo Talent Buyer Of The Year – Todd Boltin – Variety Attractions, Inc. The Academy of Country Music Special Awards are voted on by the ACM Board of Directors and are awarded during years where the Board of Directors feels there are clear and deserving candidates. MBI Awards and Industry Awards are voted on by professional members of the Academy. In more ACM news, online fan voting is now open for Entertainer of the Year and Top New Artist at www.voteACM.com. The winner will be announced on the 45th Annual Academy of Country Music Awards on Sunday, April 18. Nominees Kenny Chesney, Toby Keith, Brad Paisley, George Strait, Taylor Swift, Carrie Underwood, Keith Urban and Zac Brown Band vie for Entertainer of the Year with fan voting powered by the Ram Truck Brand. Additionally, for the first time, fans can vote for Top New Artist from among nominees Luke Bryan, Gloriana and Joey + Rory (who have already been named Top New Solo Vocalist, Top New Vocal Group and Top New Vocal Duo, respectively). Fans can vote for Top New Artist through the start of the live broadcast and Entertainer of the Year into the third hour of the show.